Note: this feature may not be available for all users. 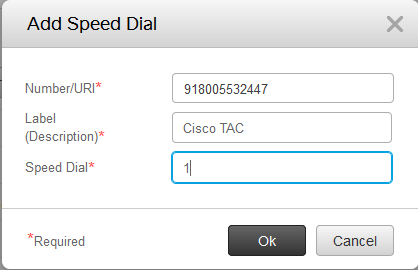 Please note there is not a way to set up speed dials for Jabber clients. If you have multiple devices and you want to configure different speed dials per device, select the link button to the right of the phone to unlink your devices. Once the devices unlink, the icon changes to a broken link ( ) and each phone’s speed dial is editable, individually, by selecting them from the Filter by: menu in the top-right of the screen.